← Syria roundup: people, places, food, money, revolution. Posted on April 19, 2011	by A.R. On the 11th, I woke up with a skip in my step. It was thanks not only to the chocolate croissant that was waiting for me, but to the fact that I would be crossing into Turkey today. 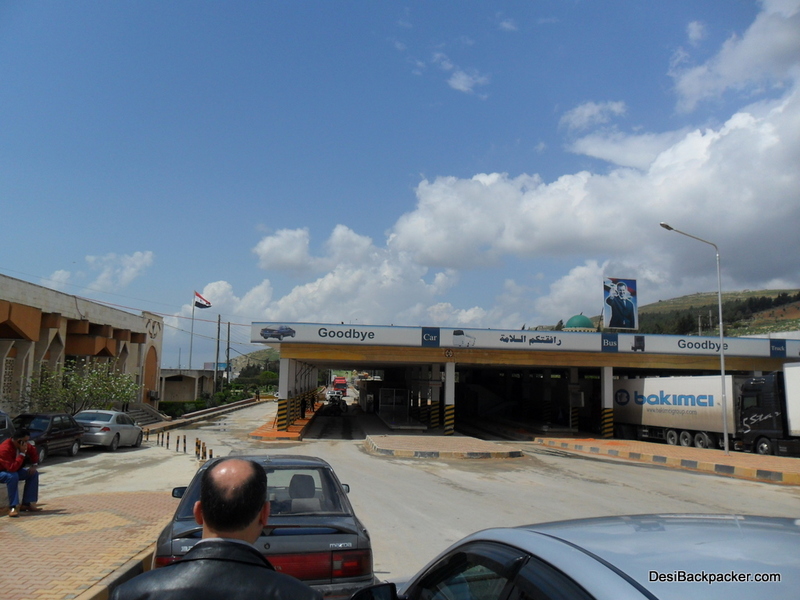 Crossing into a new country is always exciting and this time I would be using a land border. So as soon as I settled things at the hostel, I headed out to find a direct bus from Aleppo to Antakya (Hatay) in Turkey. That turned out to be slightly complicated, though and I ended up in a shared taxi that cost 10 US$. You see, as per a relatively recent policy change, Turkey allows Visa on Arrival for Indian Citizens who hold a valid US, UK or Schengen visa. I had 2 of those so I felt safe. But when I arrived at the Visa-On-Arrival place, they mumbled amongst themselves for a while, looked at me and told me to go back to Aleppo and get a visa from the consulate. I had a printout of an email from the Turkish embassy in India confirming availability of VOA at the border, and I tried to explain it to them, but to no avail. It was really frustrating as none of them spoke any English and all I could hear was “Hindistan” and “Konsolusuk”. So yes, I needed to go back to Syria. Sure. Only problem was that I had a single entry visa and I was already stamped out. If the Turks didn’t let me in, I was in no man’s land, unable to get into Turkey and unable to return to Syria. I literally had nowhere to go. And to think that my Canadian visa rejection made me feel like Victor Naborski (of The Terminal)! This was the real thing! The complex at the border is quite big, with all sorts of offices and I walked around asking people if anyone could speak English. I wanted to explain my situation to someone so that they could talk to the pig-headed immigration people. After a while someone ran around the building with me and found a guy who could speak a little. He then asked around some more and managed to locate a young guy who could actually have a conversation with me. I explained my situation, they talked amongst themselves and said that if the police say no, there is nothing that anybody can do. They advised me to call my embassy. A Barber on the Turkish side of the Border. A BARBER. Really? How about keeping a translator? The guy then took me to someone’s office that had internet and found the number of the Indian embassy. He then took me to a phone office where he called up the embassy and had me put through to an official. Now this is where Mr N. of the Indian Embassy at Ankara comes in as a shining hero. No amount of thank yous are enough. He listened patiently to my story and remarked – “Ah so you have yourself in a proper soup then“. He then told me to relax and that he would talk to some people and get back to me on what could be done. This completely took me by surprise and I felt really ashamed about my “Yeah, right. Indian bureaucrats” attitude. There was some back and forth calling, and I had to use my Indian number which, as it later turned out, cost me about 1400 Rupees. Eventually Mr N. called me and handed the phone to a lady who said something to the immigration police that completely changed their attitude from hostile to friendly. But even then, they were very reluctant to give me a visa as they were still not sure about the rules. By this time I was quite frustrated. Luckily I had the full address of the exact page on the Turkish Ministry of Foreign Affairs website. I walked behind to his desk and showed him the URL. This of course was in English which he refused to read. So I found the Turkish version and found the words I needed: “Hindistan” and “Schengen”. I pointed those out to him and folded my hands. Within minutes I had a visa and a stamp. The whole process had lasted almost 5 hours! Ladies and Gentlemen, I have sacrificed myself for the benefit of the later travellers. 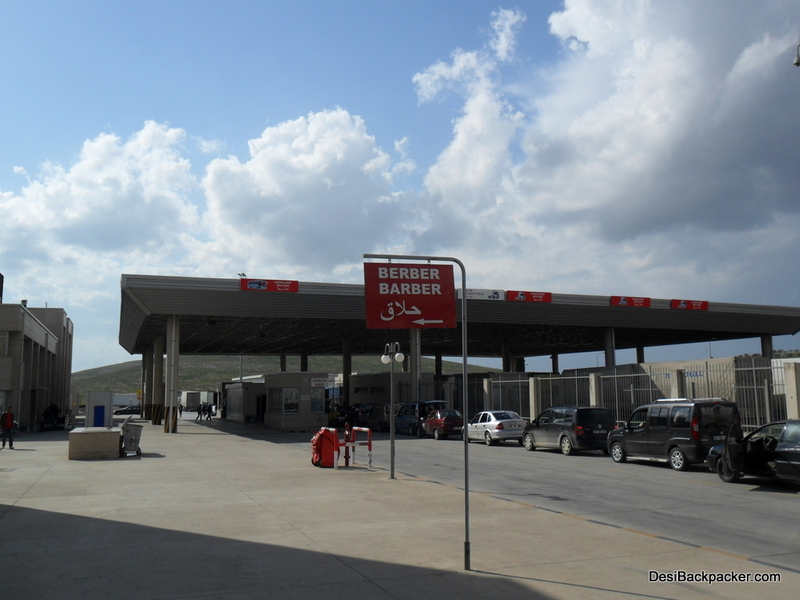 The Hatay border is now open for business to Indians that need Visa on Arrival for Turkey. Anyway, I really needed to pee, so I headed over to the toilet. Please ignore my previous declaration of the toilets in Damascus being expensive. The toilets in Turkey are definitely the most expensive in the world. This one was 1.5 Lira for a piss (1$) and the ones I found later weren’t much better. The least was 1 Lira. I dare you to find more expensive toilets. 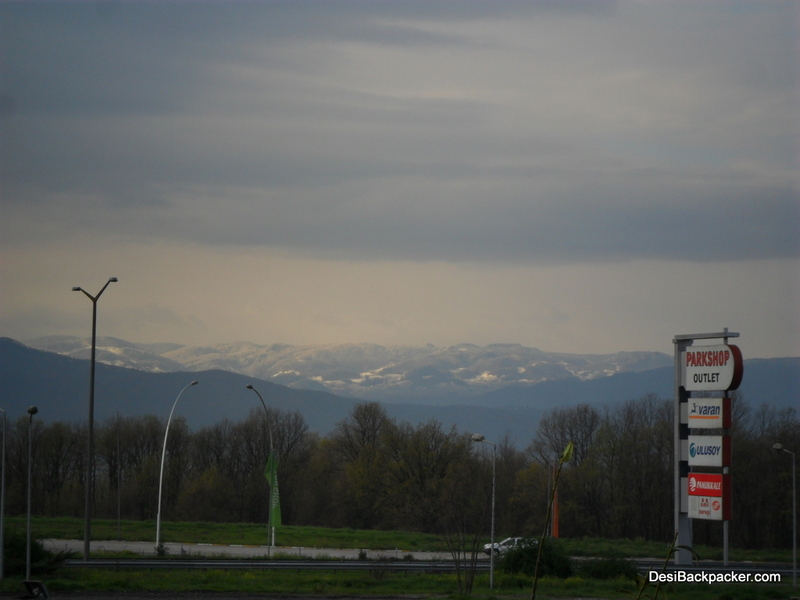 It was now after 6, and my “direct taxi” had of course left me behind so I had no transportation, and the border is (as borders tend to be) in the middle of nowhere. So the only option was to hitchhike. I was actually quite excited by this as I had read that Turkey is one of the best countries to hitchhike in and I was already looking forward to trying hitchhiking here. A truck driver almost agreed to take me but then he saw an empty bus, shouted out to the bus driver who called me over, and said that he would take me to Hatay. Why he was taking an empty bus across the border I will never know. 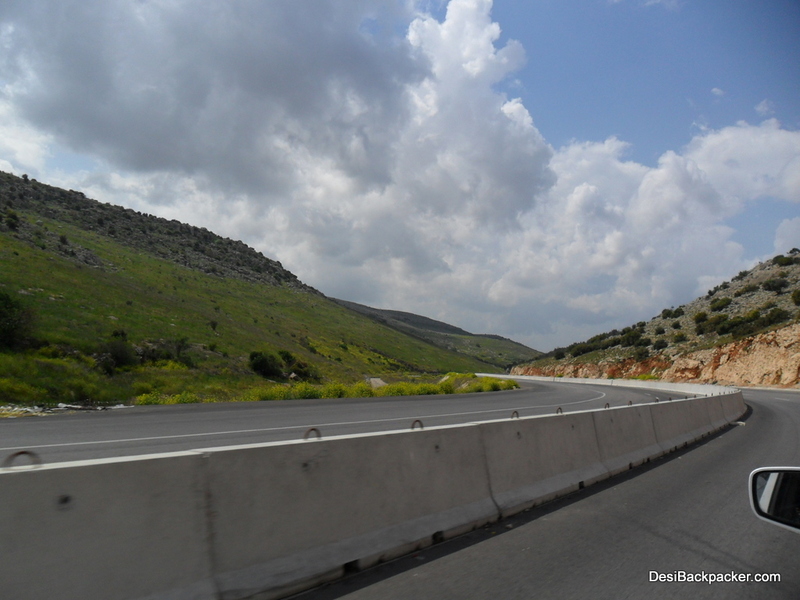 In Hatay I had to hitchhike again, as the bus driver dropped me off at some petrol station. Again, a bus stopped. 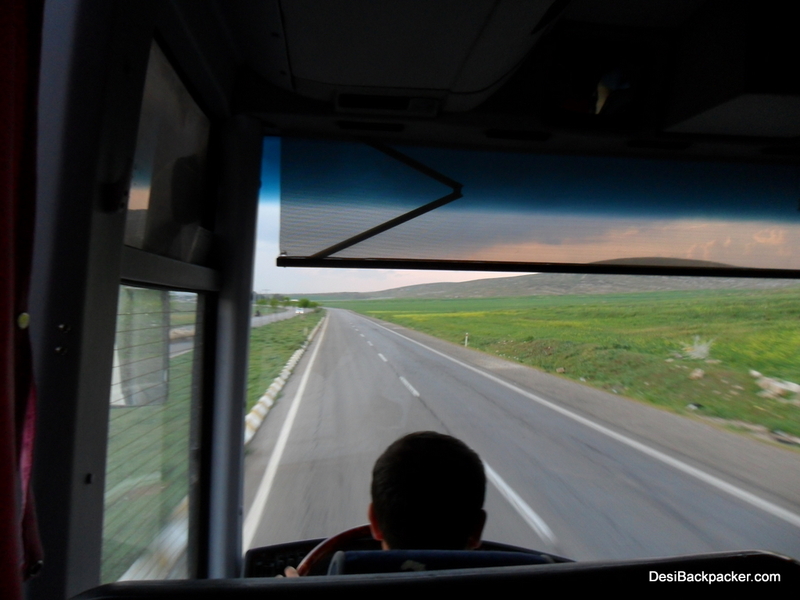 This was a direct “Istanbul Express” to Istanbul – a journey of 16 hours! I knew from previous research that the bus costs 65 Turkish Lira (42 US$) but as I was catching the bus on the way, I was sure that I would have some negotiation power as my money wouldn’t get me a ticket and would go straight into the staff pockets. So when he asked me for 50 Lira (khamsin. This was an Arabic-speaking area, and by this time I knew what khamsin meant). I pretended to not understand and offered him a 20 Dollar note. After much denying and me pretending to not understand, he finally gave up and left me alone. Now, the bus was absolutely fantastic. Great legroom, comfortable seats, beverage service and even seat-back TVs with 10 channels, including one with a view of the road from a camera mounted in the front! After Iskenderun, a couple of South-Asian looking guys boarded and sat down next to me. One guy asked me where I was from, and I told him. He said he was from Myanmar. He then started asking me questions about whether I had a visa for Turkey, whether I had a visa for Europe, etc. I realised that they are illegal immigrants and I felt happy for them. Anyone lucky enough to get out of Myanmar is a hero IMHO. Around midnight the bus was stopped and searched by the police. Everyone showed them their documentation but my two new friends who pretended not to understand and were left alone. I high-fived them in my head. But then I had a “waidaminnit” moment. He hadn’t responded when I said “Mingalaba” (hello in Burmese) and something seemed fishy. I asked him where in Myanmar he was from and he suddenly pretended to not understand me. He had previously asked me where I was from in those exact words! I ignored them after that. I wanted my high-fives back. So I watched some videos on my laptop and managed to sleep a bit. I woke around 6:30 AM to piles of snow outside! The scenery all through was fabulous and the roads fantastic. 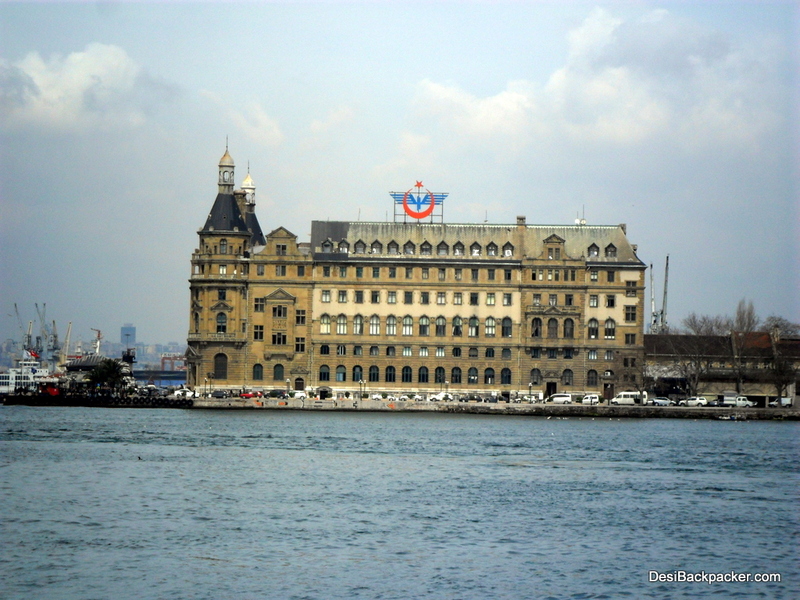 I reached Istanbul “Harem” bus station and took a bus to Kadıköy, the center of the “Asian” side of Istanbul. After all he hullabaloo I had made it to Istanbul! The city that was the coveted jewel in any self-respecting empire’s crown. The only city spread across two continents, and a true meeting point of the East and the West. Total: 103 US$ – 4600 INR!!! 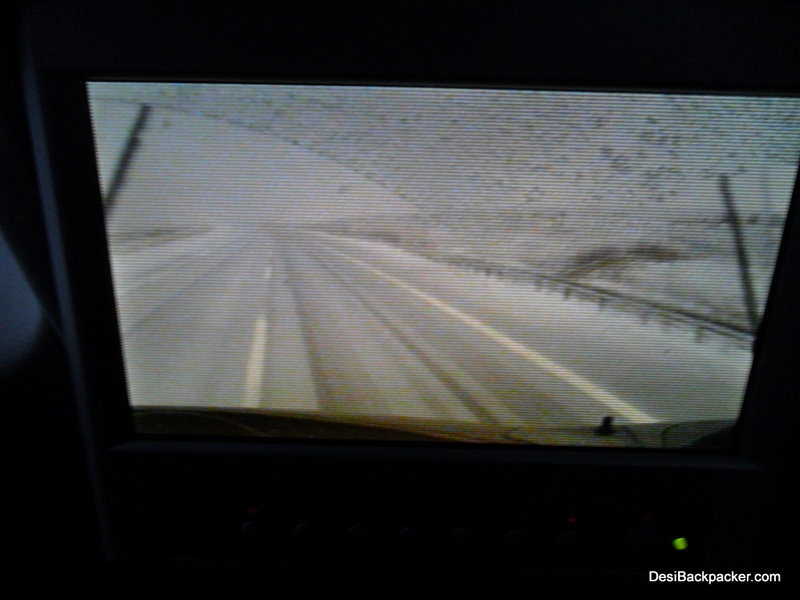 This entry was posted in Turkey and tagged Hitchhiking, Istanbul, Syria, Turkey, visas. Bookmark the permalink. I envy you man . nice post . Wud be good if you make compilation of your notes and make a travel guide out of it . That is definitely one of the things I'm thinking about, but it's a lot of work. And it would be hard to compete with the established players. But I do believe we need travel guides written from an Indian POV. Really really insightful and informative post. You come as strong and daring. Also liked the way you observed Myanmar guys. I would be in such an agony if things don't go as planned (at least on the borders and with regulatory procedures). Well, thats the adventure you enjoy, I guess… 🙂 Great going! Well I was completely at a loss for a while but then I realised that eventually someone will solve the situation. They wouldn't leave me hanging around in the border area forever! The guy at the Embassy was very comforting too. Animesh – loved reading this one… infact I plan to do the same thing from Iran border sometime in October. When r u back in India?